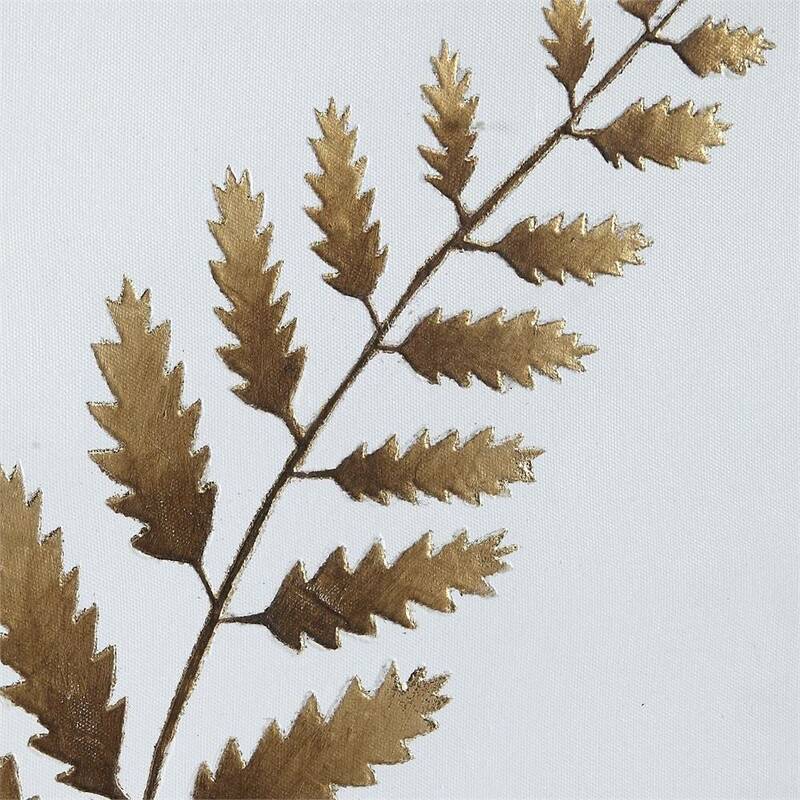 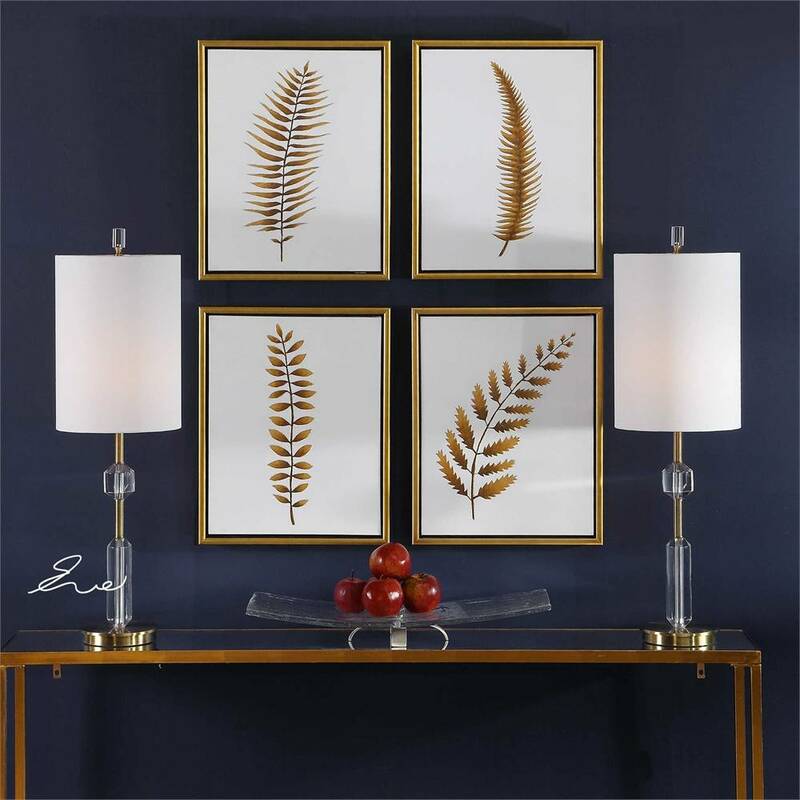 Forest Ferns Canvas Art by Uttermost is a glamorous take on the traditional botanical. 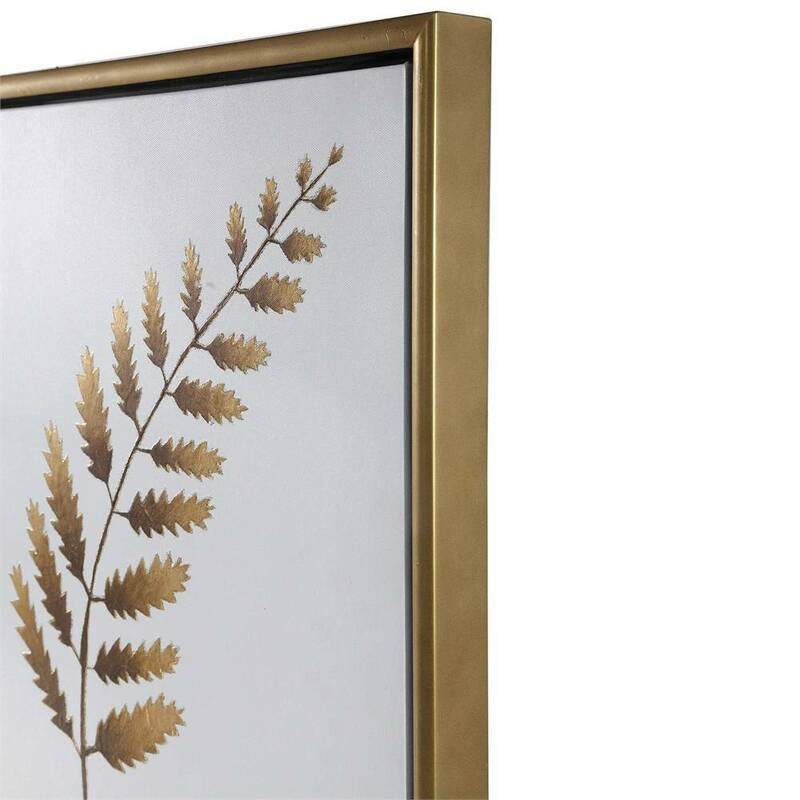 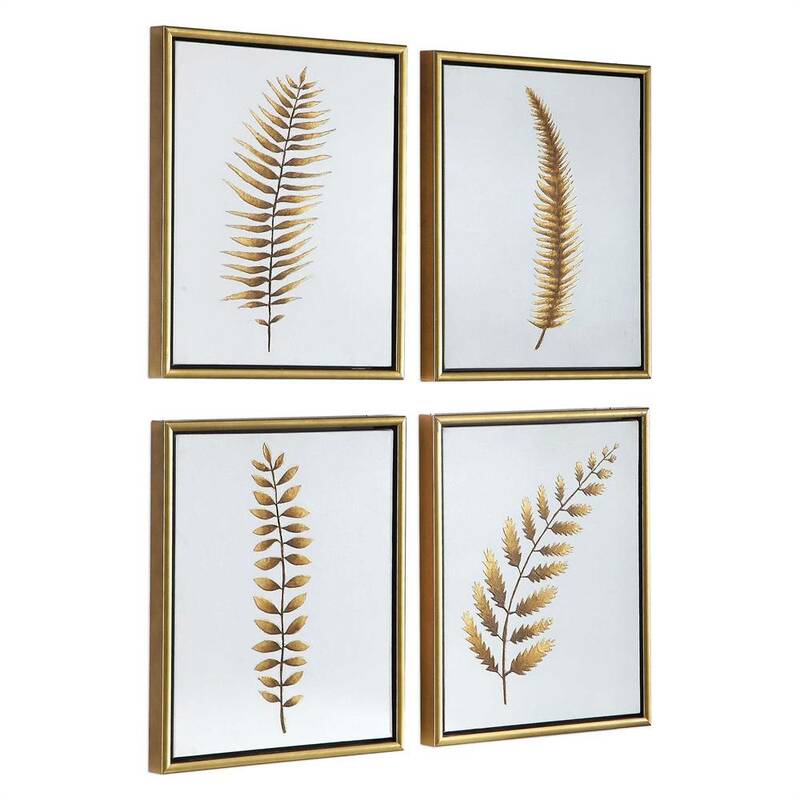 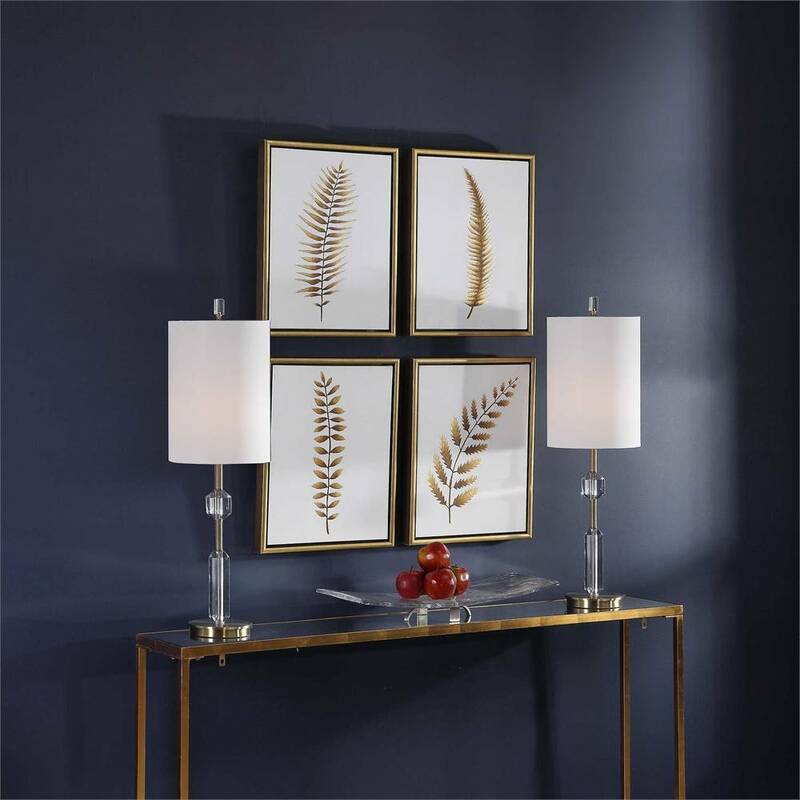 This contemporary wall art set features four unique, hand painted gold leaf fern stems on cream colored canvas with matching gold leaf gallery frames. 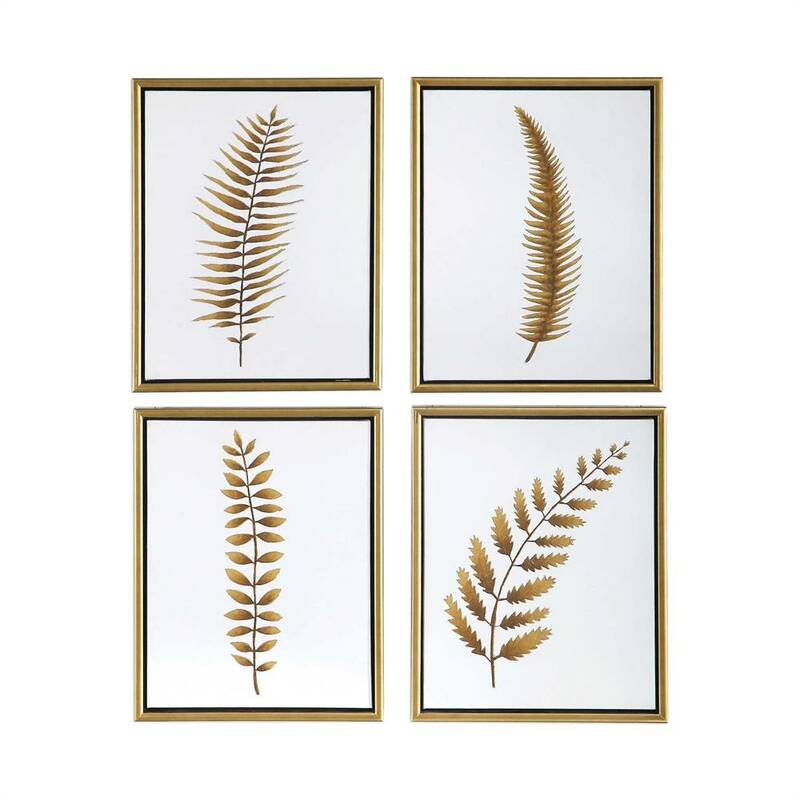 This eye-catching art set can have subtle differences due it's hand crafted nature.